Before cars can be connected, engineers must first connect. AutoSens takes-over the inspirational AutoWorld Museum for its international flagship conference and exhibition in Brussels this September. 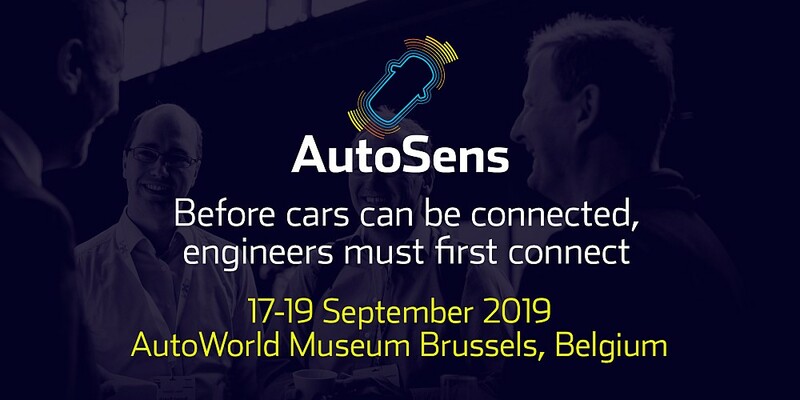 More than 550 of the most skilled senior engineers and technologists join AutoSens for the 7th edition of this world-class forum – a platform to support engineers and scientists to pursue the development of best-in-class vehicle perception technology. AutoSens connects technologists in all disciplines of vehicle perception to network, collaborate, solve shared challenges and advance ADAS technologies more rapidly. Bringing together of the most forward-thinking minds in the industry; it is a week of discussions, collaborations, debates, business meetings, interactive learning, autonomous driving demonstrations and technology showcase. The event brings together engineers from several engineering disciplines including automotive imaging, LiDAR, radar, image processing, computer vision, in-car networking, testing and validation, certification and standards. AutoSens is a collaborative environment geared towards supporting engineering activities. "A perfect mix of cutting-edge technology from the autonomous driving community." "AutoSens is the place to gather experienced ADAS and AD engineers and professionals. It brings a lot to the industry in order to see real problems in development. The topics are really practical and each made a genuine contribution." "THE event for checking state-of-the-art vehicle sensors and advances, with plenty of technical knowledge widespread around the venue." "As we have seen and heard; the automotive industry is in a revolution and AutoSens is at the centre."